Jahangirnagar University Admission Notice 2018-19 | ju-admission.org. 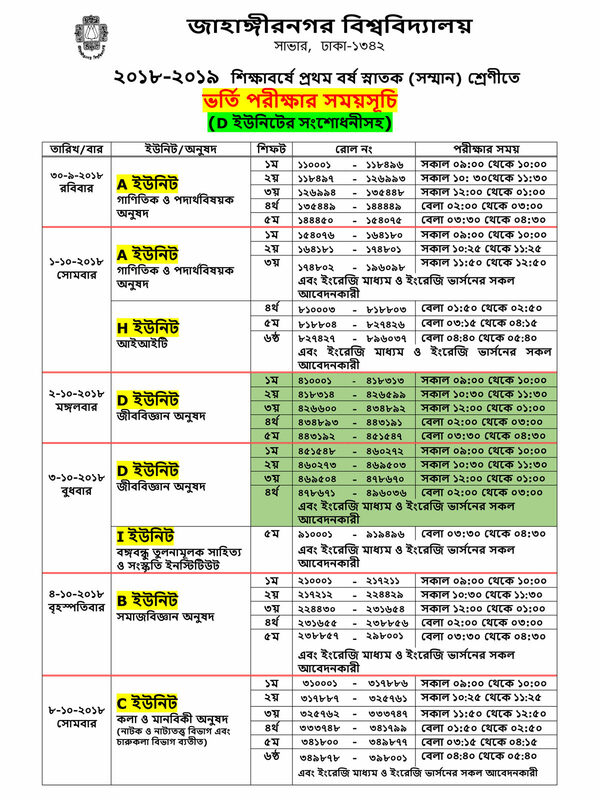 Jahangirnagar University Admission 2018-19 all unit Seat Plan & Jahangirnagar University Admission Result 2018-19 of all units will be found here. Jahangirnagar University Honours first year admission test for undergraduate students for the session 2018-19 will be started from 17 August 2018 and End on 16 September 2018. Jahangirnagar University Admission test will continue 30 September 2018 to 10 October 2018. Admission test of different units will be held on a separate day. Jahangirnagar University admission test Date published. 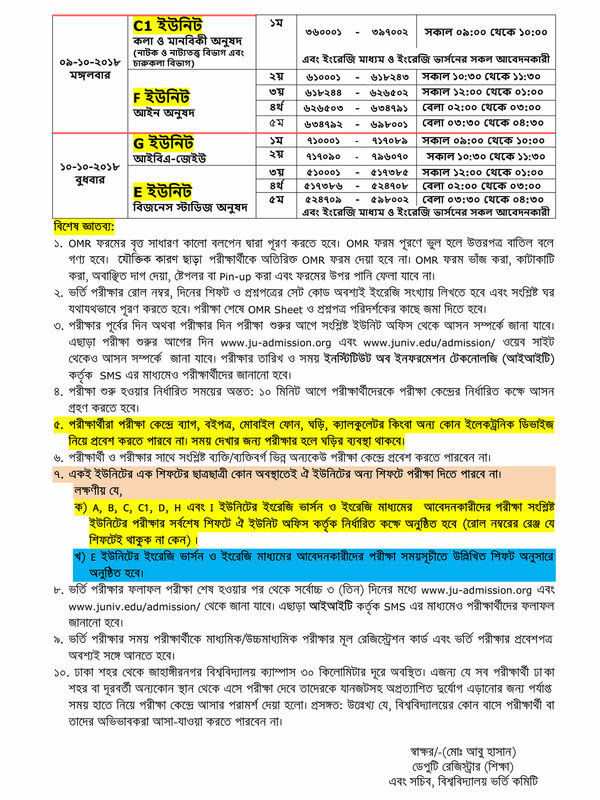 Jahangirnagar University admission test will start from 30th September to 10th October 2018. When JU admission test detail will be published, we will provide the update in our website. Example: JU R 100001 and Send to 3690.